I live in Seattle, where home prices are some of the highest in the nation, so as you can imagine I’m constantly getting pitches in the mail from agents wanting me to list with them. As a marketing professional, it puts me in the unique position of a potential customer, and I have to say that how these agents are marketing their real estate businesses leaves a lot to be desired. I get marketing materials from agents almost daily, and most of what they’re sending out is all the same. A generic newsletter, a generic postcard, all with the same generic information – “How to Clean Your Gutters,” “How to Prevent Your Pipes from Freezing.” Nothing these real estate agents are sending me tells me why I’d want to work with them as opposed to someone else. Usually I’ll get one or two touches by mail from a real estate agent and then never see anything from them again. I guess they figure that if I wasn’t bowled over by their postcard, I’m not interested in working with them. Regardless of what you’re sending, you need to do it long enough to build brand recognition. Consistency is key. Over the course of about two months, one agent reached out to me four or five times, and when I saw her latest postcard in the mail I thought, hey, another card from Sally Smith. * Success! Her consistency had actually gotten me to recognize her picture and her name. That’s huge! She’d gotten my attention, but I still knew nothing about her as a person. She hadn’t differentiated herself from all the other agents who market to me. Why would I choose her over the others? 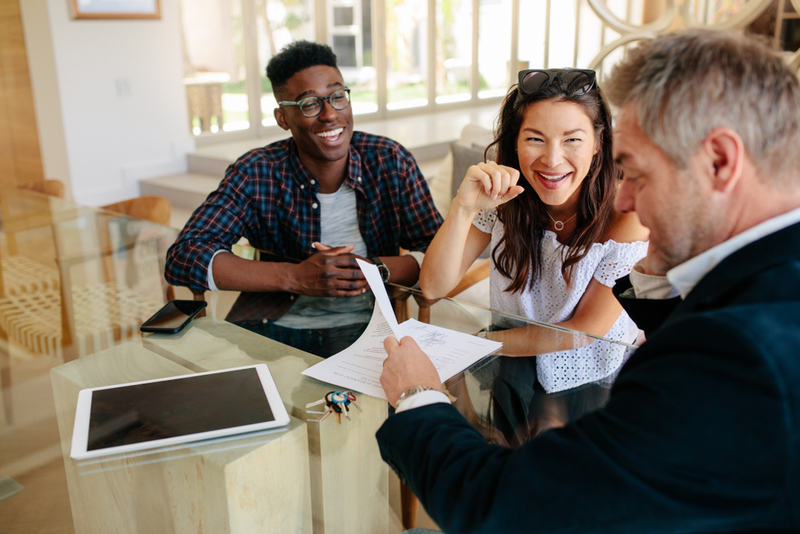 As the National Association of Realtors wrote in a recent article, marketing is as much about telling your own story as it is about selling a property. I Googled this agent’s name to see what else she was doing to market herself. I found her on Twitter, where she was repurposing articles from other sources (no I’m not interested in what Martha Stewart says about cleaning my porch). Google showed that she had a LinkedIn page, that’s good. What I didn’t see was a Facebook business page. After a bit of searching, I did find a personal Facebook page for her, and guess what it showed? This is the stuff that she – and all of you – need to be sharing with potential clients! So How Should You Be Marketing Your Real Estate Business? Next time you send something in the mail, personalize it. Instead of a postcard about cleaning your patio furniture for summer, how about a list of local gourmet ice cream shops to try? This is the kind of thing people will save and hang on the fridge. Create a postcard of upcoming summer events for children in your community and ask a neighborhood daycare or children’s shop to leave some on their counter. Beyond your printed materials, you have to be present on social media. If you’re not keeping up with technology and not meeting your customers where they are, you’re going to be left behind. Have a business page on Facebook and Instagram and regularly post localized content that demonstrates your knowledge of the area you serve. Got an open house this weekend? Instead of posting a photo of your new listing that says, “Open house from 1-3 today,” do a short video from the property with information about the neighborhood – “It’s just a 10-minute walk to the train downtown and it’s in the reference area of Roosevelt Elementary, which had the highest test scores in the district.” Add value. Is there a new store opening in the neighborhood? Post a photo of the vacant storefront, do a little digging and let people know what’s going in. If it’s a restaurant, reach out to the owners and see if you can post a preview of their menu. Then run a Facebook ad so the post is shown to everyone in your zip code. People want to work with people, not businesses. Stand out from the crowd by adding some personalization when marketing your real estate business. Share what you love about living in your community. Build that recognition, be consistent and the business will come. Looking for a few ideas to get you started? Download our free eBook, 14 Facebook Post Ideas for Real Estate Agents.